Survey crews at Intertek precisely track position and stability of the Hebron UPM loading and unloading procedures during transport of the module between South Korea and Nova Scotia. 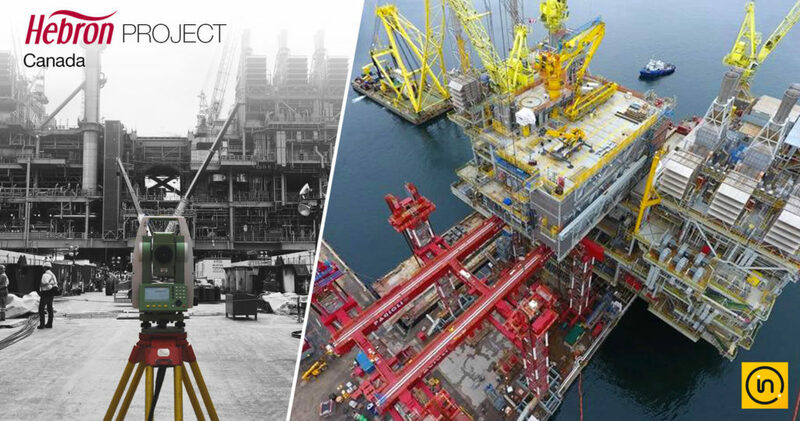 sensemetrics software aggregates data from six (6) Leica Geosystems Automated Motorized Total Stations (AMTS) and calculates key performance metrics in real-time to ensure the safety of the monumental structure throughout the docking and offloading process prior to incremental assembly. sensemetrics Enterprise connected THREAD devices, automate data collection from Leica TM50 instruments and stream real-time positions and analytics to field crews on their mobile devices while at the same time allowing management the same view on data as oversite from remote offices – providing a simple and seamless workflow throughout the critical operation.